Target – Engaged Community Partners. FWSU staff and students will collaborate, innovate, create and conceptualize ideas and learning with local, regional, state and global partners to make a difference in their community, state and worlds. Action Step – Plan and manage instruction around problems relevant to students and their community and develop solutions for authentic audiences. Indicators of Success – Learning outcomes will be expanded to encourage curiosity, communication and digital citizenry. Two recent guests at the Fletcher Elementary School have helped to move forward the school and district’s goal to engage community partners and to inspire and motivate students. On Friday, March 13, Fletcher resident and F.E.S. 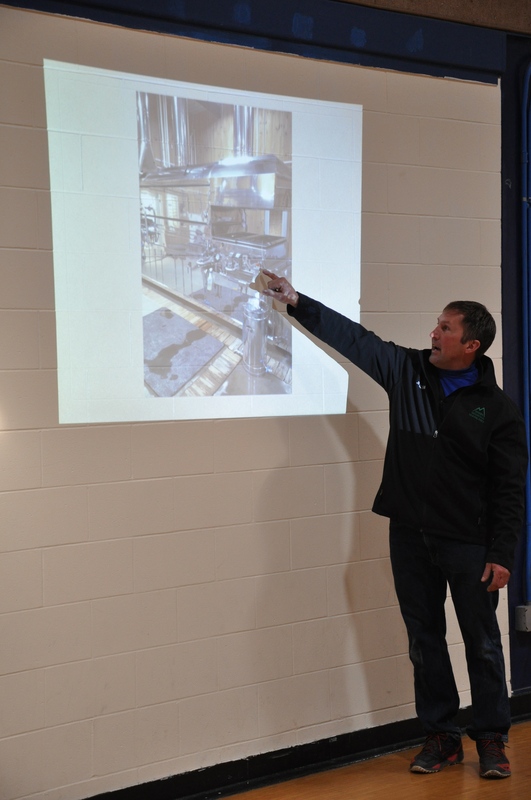 parent J.R. Sloan spoke to students about maple sugaring at a school-wide assembly. Sloan has been the largest maple producer in the United States for five consecutive years. His Fletcher-based state-of-the-art maple sugaring operation utilizes reverse osmosis systems and recycles steam to produce hot water. Not only does he anticipate making up to 60,000 gallons of syrup this spring (he made 1,000 gallons last Thursday alone), but he also sells the watery byproduct. 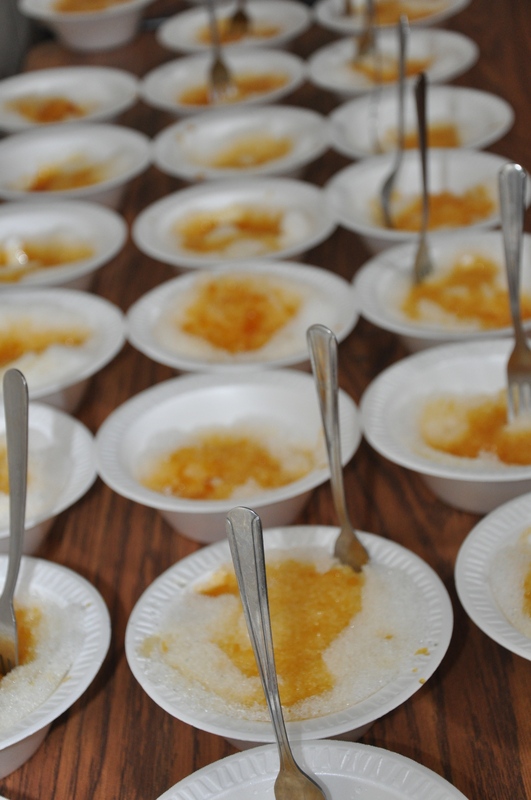 Sloan showed students photographs and video clips of the sugaring process and spoke about the essential academic skills of literacy and mathematics that are needed to run his operation. He also discussed the technology that allows his operation to be closely monitored for quality and functionality with minimal supervision. He stressed the importance of sustainability and environmentally sound practices, issues that some students have already looked closely at this year. 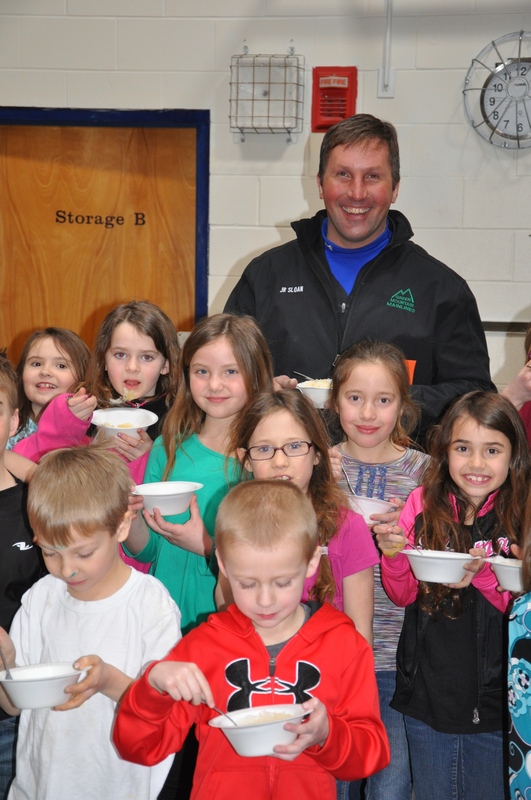 Sloan donated several gallons of maple syrup to F.E.S. 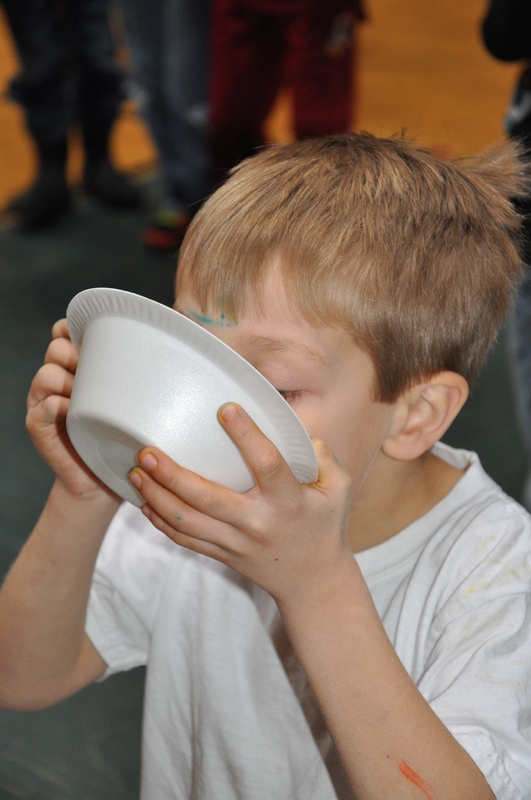 for the school-wide sugar-on-snow celebration which followed the presentation, as well as additional syrup to support the school’s breakfast program. 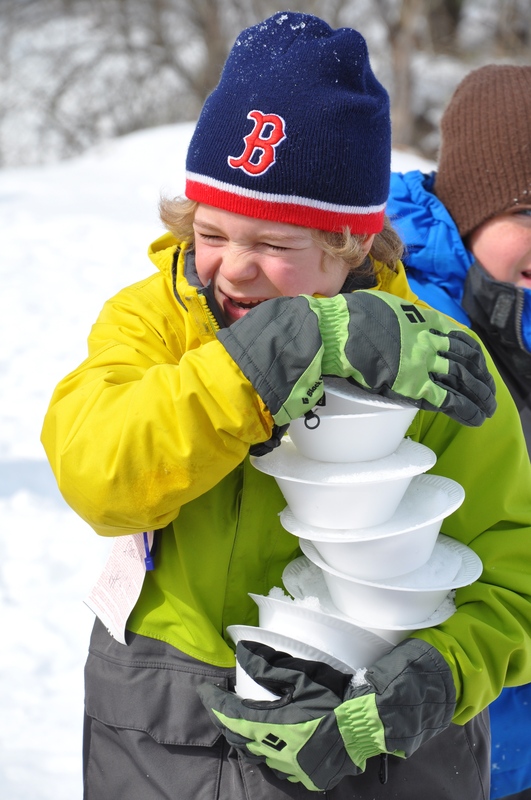 Earlier in the day, third and fourth graders worked to harvest the snow for the school-wide sweet treat. Sloan told students that his business attracts over 100 visitors a day – from all around the world – and that they are always welcome. “You always make time for community,” Sloan told students. Community engagement has been a year-long theme at F.E.S. 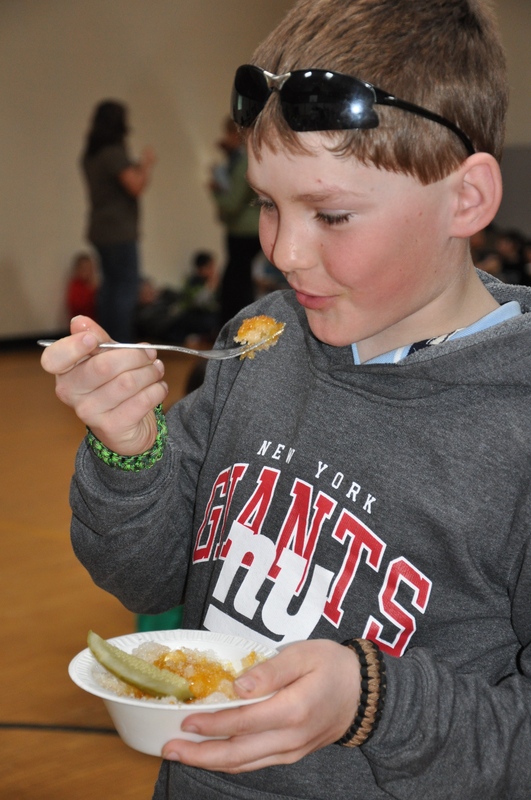 for many classrooms, with students hosting various events for families and residents. “I learned a lot. He taught me a lot more than I already knew. I really liked the maple sugar. I have been waiting to have that for years. I’d never had it before,” fourth grader Mercedes King said. 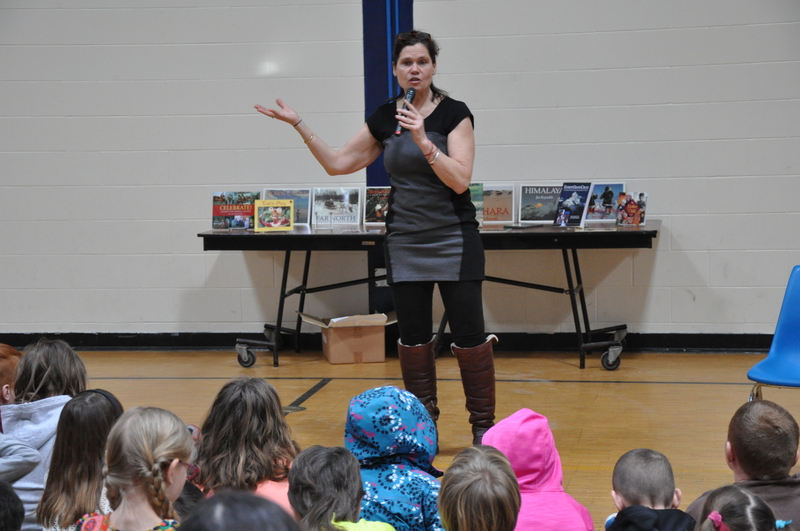 On Monday, March 16, Stowe-based author-adventurer Jan Reynolds, a regional community partner, visited Fletcher and spoke with students about her world travels. Reynolds’s presentation, entitled Vanishing Cultures, emphasized her numerous expeditions to China, Tibet, Nepal, New Zealand, Australia, the Amazon Basin, the Canadian Arctic, Mongolia, the Sahara and beyond. 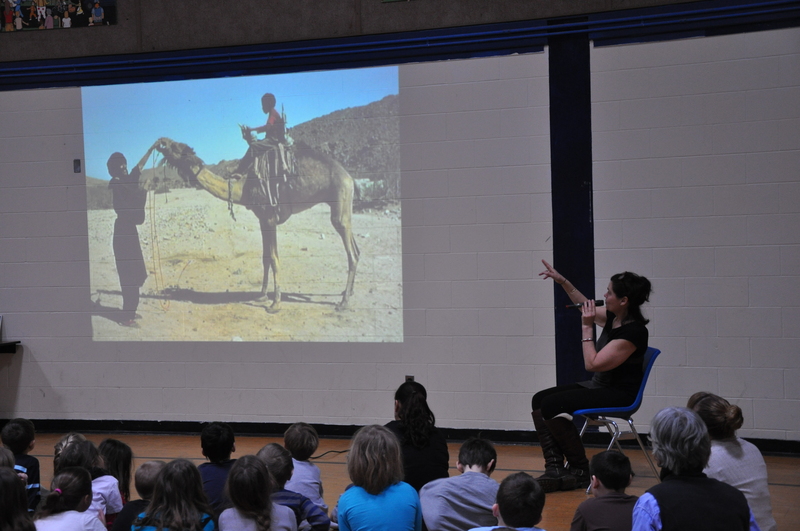 The author of 14 books for children, including the award-winning Vanishing Cultures series, Reynolds showed students photographs of her visits to extreme environments across the globe. Following her presentation, Reynolds, whose presentation was sponsored by FOFE, Fletcher’s parent group, spent time with classes speaking more about her message of indigenous people, sharing both commonalities and uniqueness among cultures worldwide. “Engaging community partners allows both our students and community to experience the great work being accomplished both in our school and the surrounding communities. It provides a perspective that may not be well-known or experienced. Great things can come from small towns,” F.E.S. parent and FOFE President Tara Sweet said. According to Reynolds, engaging community partners is about exposing children to the world. This entry was posted in FES and tagged Engaged Community Partners by Franklin West SU. Bookmark the permalink.